On November 19, 2018, CACE president Zhu Xingxiang、vice president and secretary general Zhao Kai、vice president Li Bianzhuo、deputy secretary general Wei Yumei paid a visit to Shanghai Tianhan Environmental Resources. President Song Leping、CEO Wu Qifang、honorary chairman Gu Guowei、director Zhu Dan received the visit. 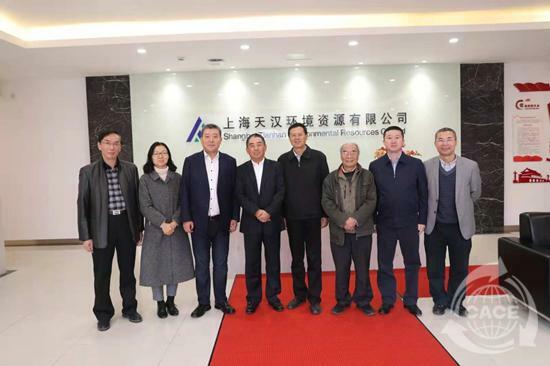 President Zhu Xingxiang and his entourage visited the incineration disposal workshop, waste mineral oil utilization workshop, heavy metal waste resource utilization workshop and the company's circular economy achievements exhibition. 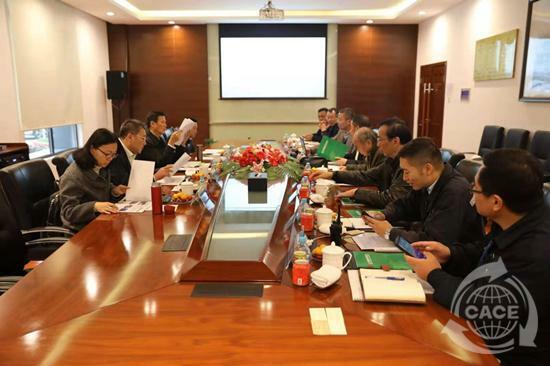 Both sides had a discussion on the development model of the hazardous waste resource utilization industry and the cooperation in the future.